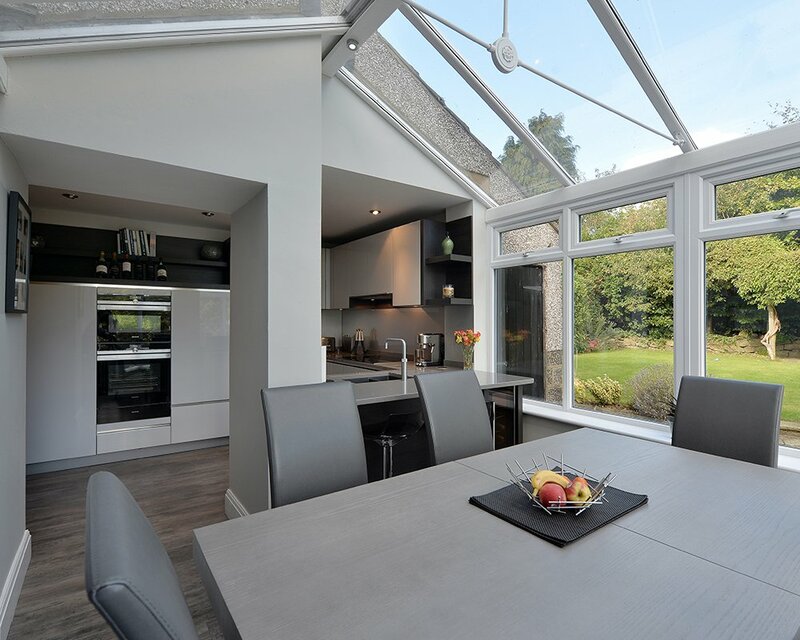 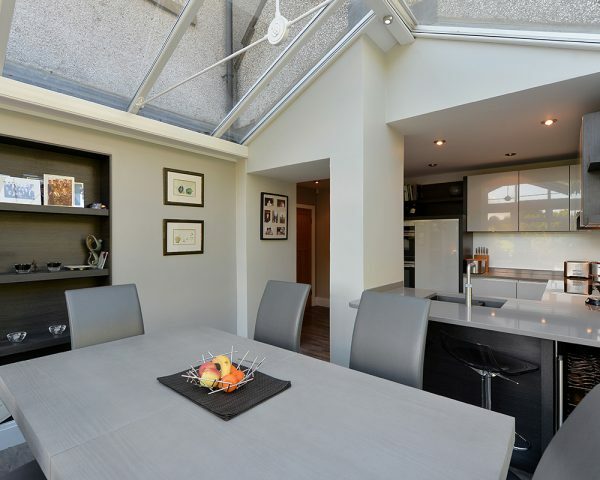 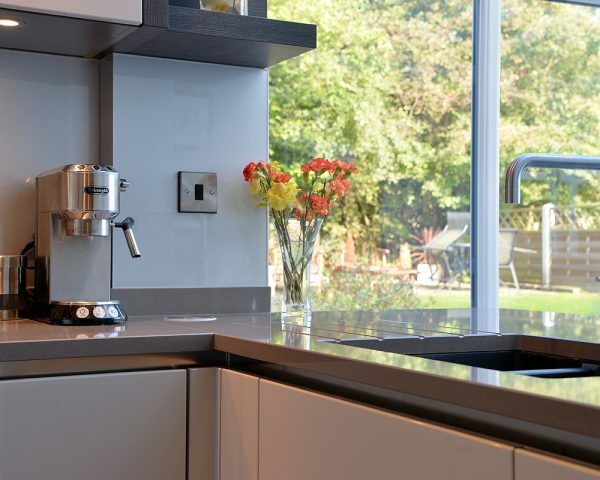 MODERN GLOSS HANDLE-LESS KITCHEN IN LIGHT GREY OPENING ONTO ORANGERY FOR OPEN PLAN DINING AND VIEWS TO THE GARDEN. 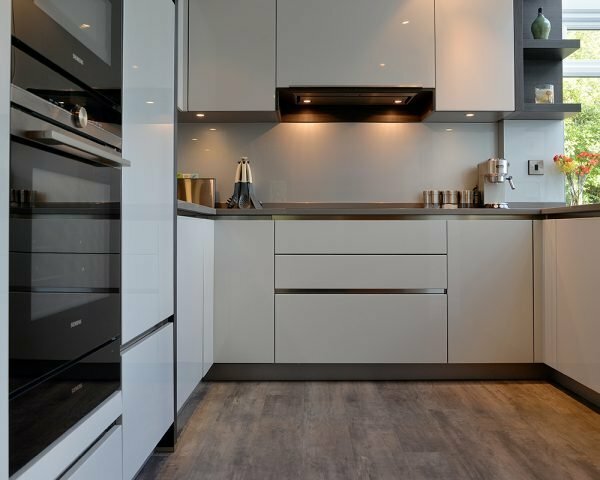 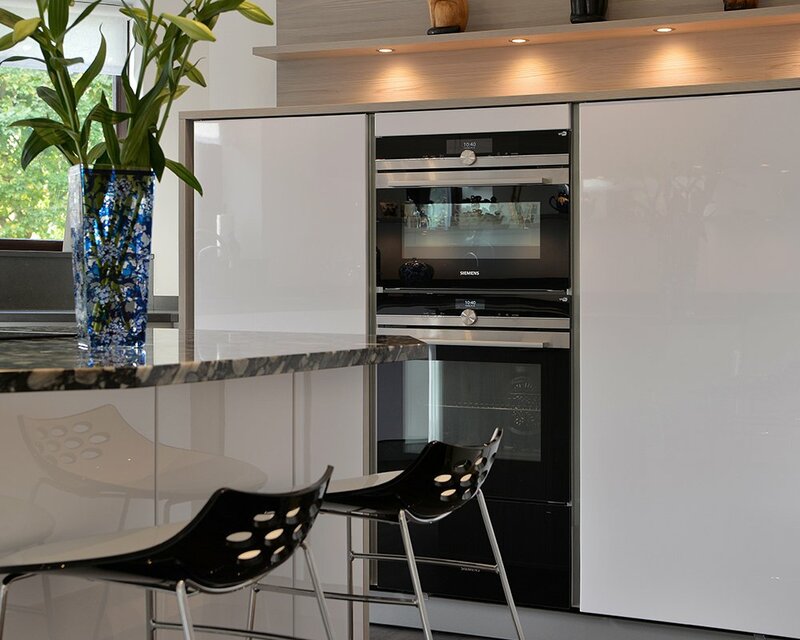 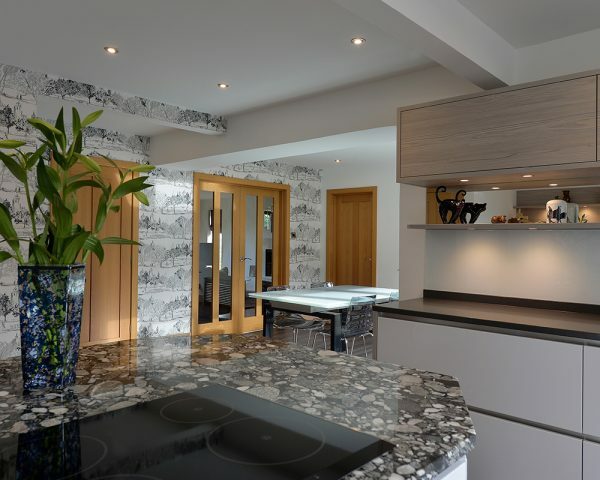 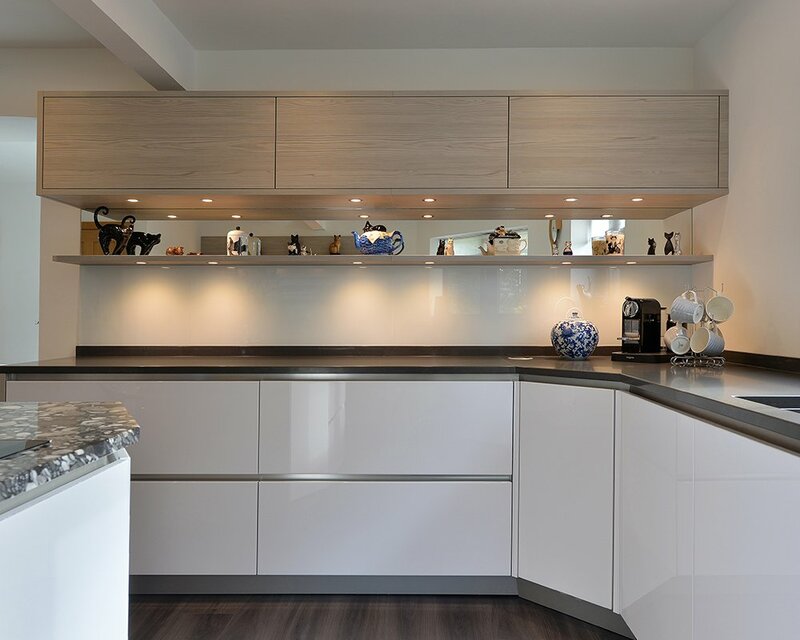 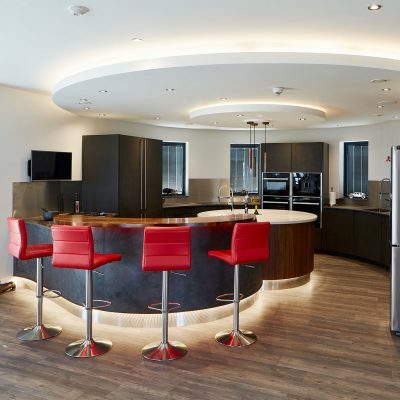 “We went to a few companies to discuss our requirements for a new kitchen and quickly decided to choose 4Seasons as they had a better vision of our requirements and translated them creatively in the design. 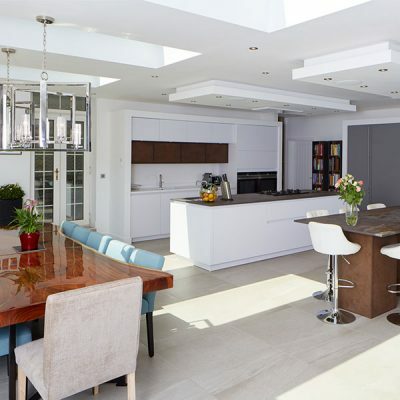 Throughout the process, they worked closely with us, within our budget, to ensure the outcome was just what we wanted. The customer service was second to none, nothing was too much trouble and all the staff we spoke to or met were friendly, helpful and accommodating. Unfortunately, it is rare these days to experience such high levels of customer care so it was extremely refreshing dealing with such a professional company. 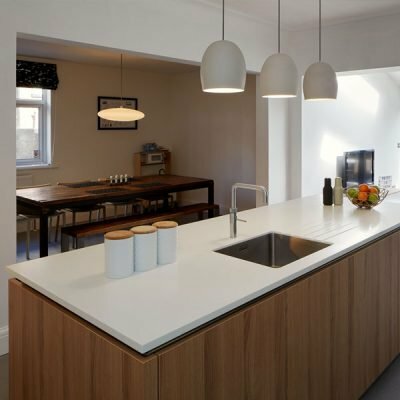 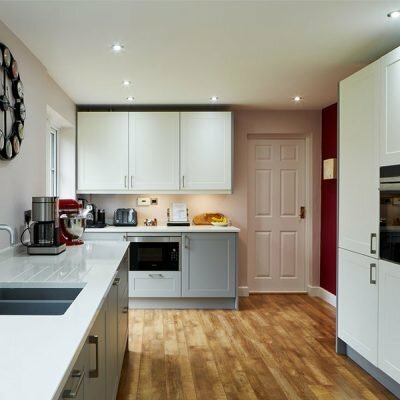 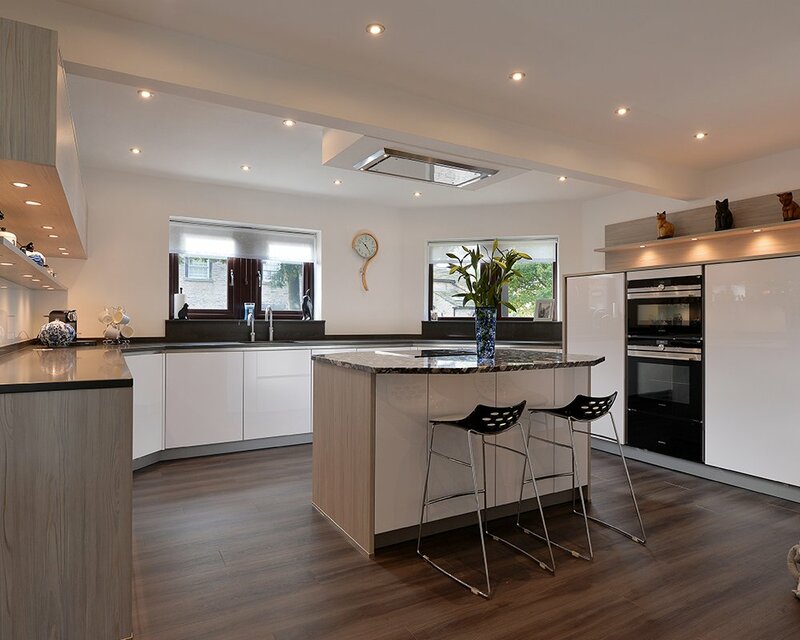 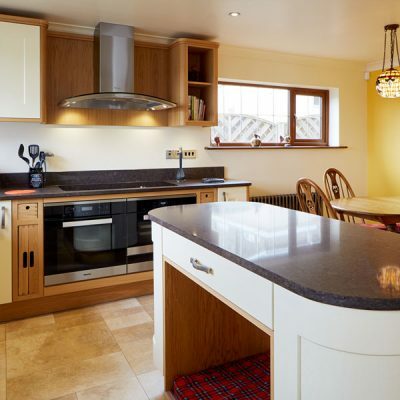 We were so delighted with our experience, when we bought a house to refurbish a short time after, we went straight to 4Seasons again to ask them to install the kitchen and once again we were delighted with the service and the end result and got another fabulous kitchen.